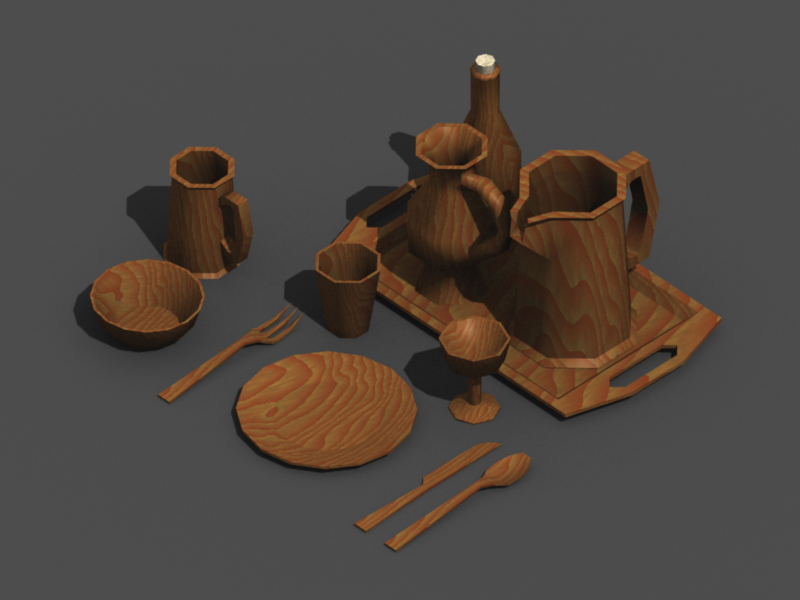 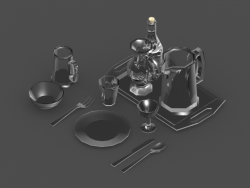 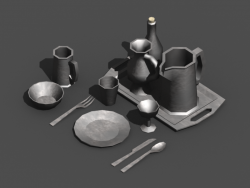 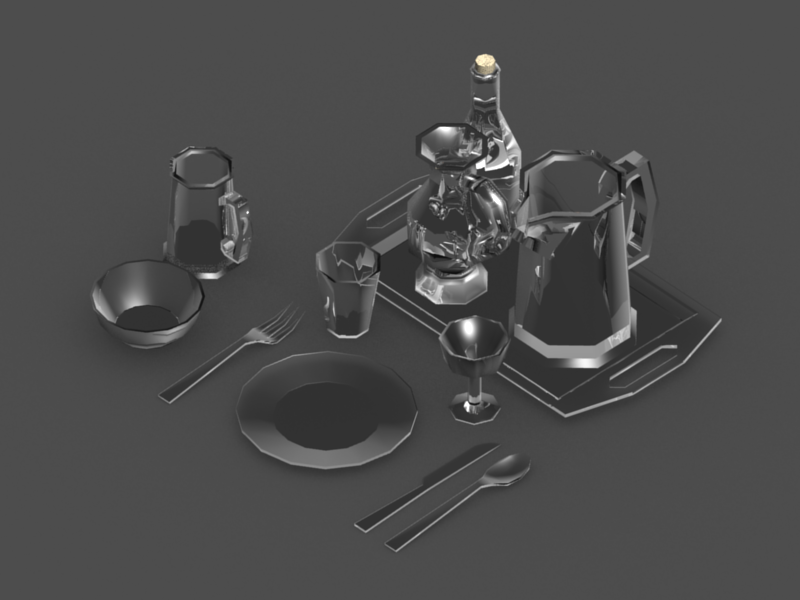 Low-poly dinnerware. 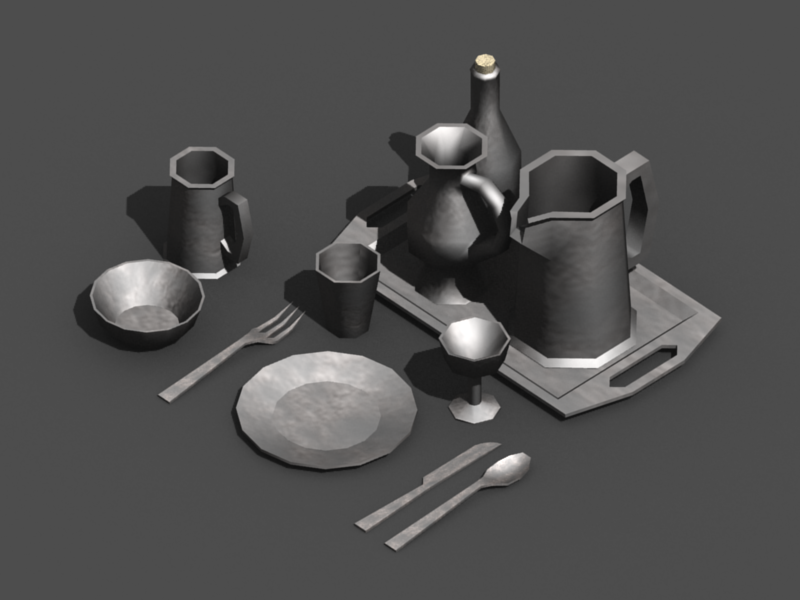 I created these with medieval table decorations in mind, but they may be useful for other settings. 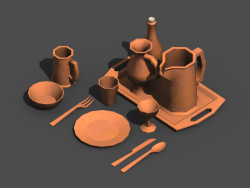 I've included 256x256 diffuse for terracotta, silver, and wood. Also included 256x256 normal for terracotta and silver. 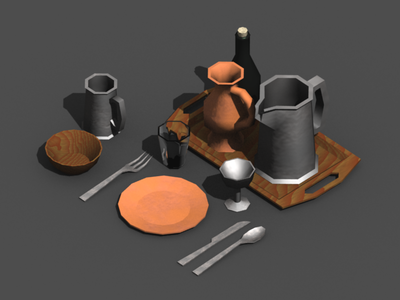 The wine bottle comes with dark glass and cork procedural textures. 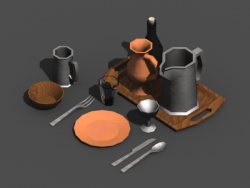 It's especially nice to have them in different textures each.